Hong Kong, 2018-Jul-03 — /Travel PR News/ — Wharf Hotels has announced the appointment of Ms Sandy Russell as Vice President, Sales & Marketing to lead the group’s corporate sales and marketing. Overseeing the hospitality management company’s robust division, Sandy will spearhead revenue optimisation and distribution initiatives alongside global sales and marketing to strategically build the group’s sales and marketing efforts internationally. “We welcome Sandy as the newest addition to our Executive Committee at Wharf Hotels, a professional hotel marketer who is passionate in defining and achieving ambitious business goals. With a quest to drive innovation, we are confident that Sandy will lead our Sales and Marketing team to establish even stronger profitable benchmarks for Niccolo and Marco Polo Hotels. Sandy is a perfect fit for our group’s Red Ring Leadership philosophy, which focuses on leading people, driving exceptional results and building strong relationships – an important combination in today’s fast-moving competitive environment. 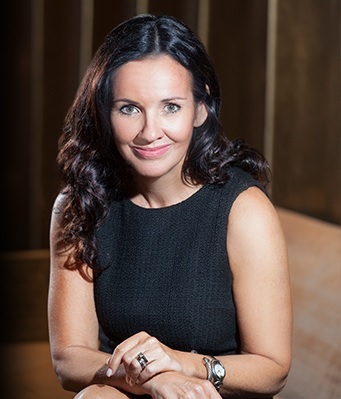 We are delighted to have Sandy lead our team and look forward to the next phase in our growth and development with her global marketing expertise,” said Dr Jennifer Cronin, President, Wharf Hotels. This entry was posted in Hotels, Resorts, Travel, Travel Marketing, Travelers and tagged appointment, Dr. Jennifer Cronin, marketing, sales, Sandy Russell, Vice President, Wharf Hotels. Bookmark the permalink.